Whitehills Lakes. Oh my! Beautiful 5 bedroom, 4 full and half bath home on a wonderful private lot! Enjoy the stunning new decor extras and amenities throughout. Marble foyer entry, formal dining room, and formal living room including a tray ceiling plus access to the den. 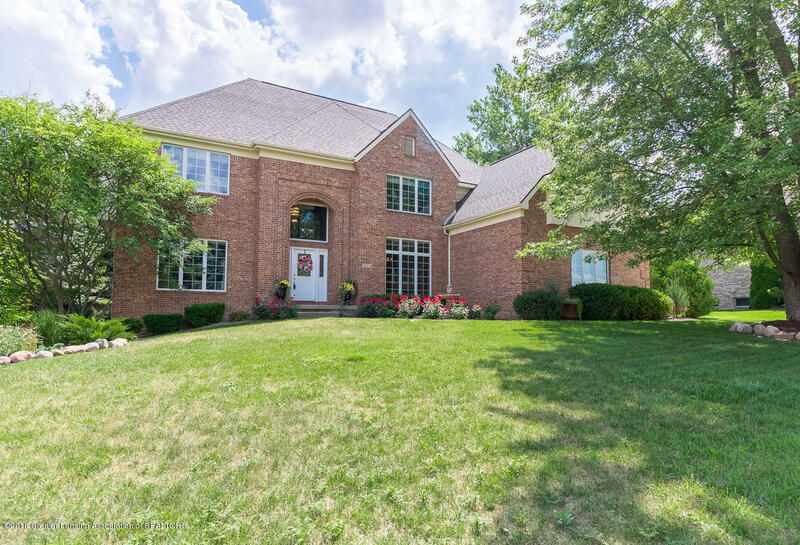 Two story family room with a stunning stone fireplace, floor to ceiling windows, spectacular light fixtures, hardwood floors, plus access to the separate study/media area. Dreamy kitchen with gleaming quartz counter tops, special range hood, fabulous back splash, over the top separate freezer & refrigerator, walk-in pantry, plus a serving area to the dining room. Direct access off the dinette to the patios, fire pit, and custom landscaping.